Indian economy based on Agriculture is assuming bigger dimension in rapidly expanding international trade. Due to global commercialization of raw agricultural and food products, issues like Sanitary and Phyto-Sanitary (SPS) measures play a great role in marketing of quality produce. In the current scenario of stringent trade barriers imposed under WTO regime, concept of quality relies not only on physical parameters but also on safety aspects such as pesticide residues, heavy metal contaminants, aflatoxins, mycotoxins, microbial load and hygiene. India is incurring financial losses and facing threat in its reputation in the international market due to rejection of export commodities like chillies, grapes and curry powder from UK, Germany, Greece and Spain. Pesticide residues refer to the pesticide and its toxic metabolites that may remain on or in food after they are applied to food crops. The pesticide residues are also detected in soil and water due to spray drift during application and leaching and runoff to water bodies which can get into food chain besides affecting the ecosystem. A potential hazard to consumers from contaminated food with pesticide residues is currently a major public concern. 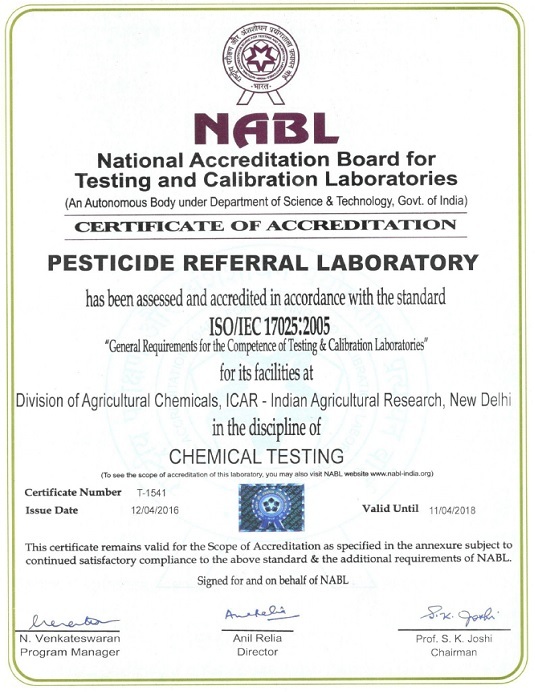 Pesticide Referral Laboratory, ISO/IEC: 17025: 2005 (NABL) Accredited Laboratory established under National Agricultural Technology Project (Team of Excellence), generates globally acceptable data for export certification and International trade. The competence of the laboratory has also been demonstrated by participation in International and National Proficiency Testing Programs. Pesticide Referral Laboratory is having state of art facilities in the country and manned by highly qualified, experienced and competent team of scientists and technicians. 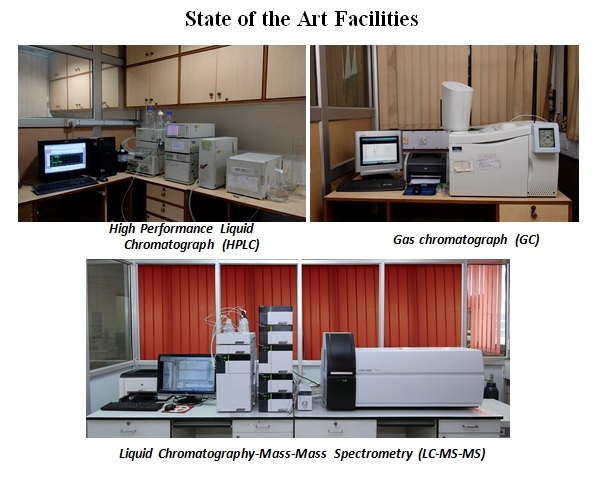 It is the first established laboratory in India under public sector. The laboratory is accredited by National Accreditation Board for Testing and Calibration Laboratories. The mandate of Pesticide Referral Laboratory is to analyze referred samples and need based analysis of samples from other agencies, to act as a national facility for capacity building of trained and super speciality Human Resource in pesticide analysis, to develop and validate analytical methods for pesticide residue analysis and preparation of Reference Materials of pesticides. The laboratory has been granted the megaproject by Ministry of Food Processing Industries, Government of India for upgradation of the laboratory. Pesticide Referral Laboratory (PRL) is committed to high quality of its testing services complying at all times with ISO/IEC 17025:2005 and to continually improve the effectiveness of the management system. Our objective is to achieve total customer satisfaction by doing all activities ‘right first time and every time’.